Sometimes it can be really useful to understand what keywords customers search for when making an enquiry so you can understand which keywords work for different types of enquiries, which ones to push and which ones to drop. 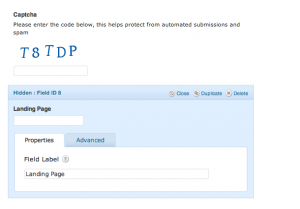 In this post we use the gravity forms plugin and makes some changes in the wordpress functions.php file in order to retrieve important search information in the email we recieve when a customer enquires through a web form. Gravity forms is a well known and very useful plugin for wordpress that enables you to setup and modify forms quickly and efficently adding the forms section to your wordpress control panel. It comes with a large selection of options including notifications and also enables you to store enquiries in your wordpress install. See the Gravity Forms website for more information. The first thing we need to do is extract the information when they land on a page of a website, we want to do this on the first page they land on and get the refering URL and make sure it only records this for the first page and no other pages. Insert the below at the top of your functions.php wordpress theme file. We then need a function to understand how the refering URL works if its a search engine, for example Google uses a ‘q=’ to pass on the data in a query, this function simply checks the information from a url and outputs it to the keyword searched for. Include this in your functions.php wordpress theme file. 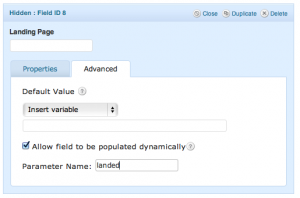 Next simply populate the fields in the advanced tabbed section of each field, tick “allow this field to be populated dynamically” and put the value name you selected in the function created in the functions.php file for example on the landing page “gform_field_value_landed” was used and therefore we would use the parameter name “landed” to populate the form. Repeat this with any of the other functions you want to show the enquiry form you receive from clients. On the notifications section of your form the default is set to show all fields, if you have not set this you will need to add the new hidden fields. Try the contact form out, search for a page in Google (you can use the query site:yoursite.com – proceeded by a keyword to do this) You should get something similar to the below on your email. Extracting this kind of search data from your enquiries can be a great guideline to which keywords convert to the best kind of enquiries. Although conversions can be tracked with analytics data this method will give you a more in-depth overview to which keywords provide the best return. If you would like this implemented on your wordpress website by our SEO specialised web designers or would like further information then please don’t hesitate to get in touch! Google has in the last few months changed its privacy settings and hidden some of the query details, therefore these methods do not always work depending on browser and personal settings. At Specialist SEO we continue to use these checks as when do work its a bonus, retrieving valuable data that can help with your campaign.